Another of the Mega Bloks Assassin's Creed sets has hit store shelves. Originally designed and built by Leonardo da Vinci, the Flying Machine was an airborne glider first tested in Venice by the Assassin Ezio. Inspired by birds, the glider makes it possible for Assassins to fly and unleash an attack from the sky. 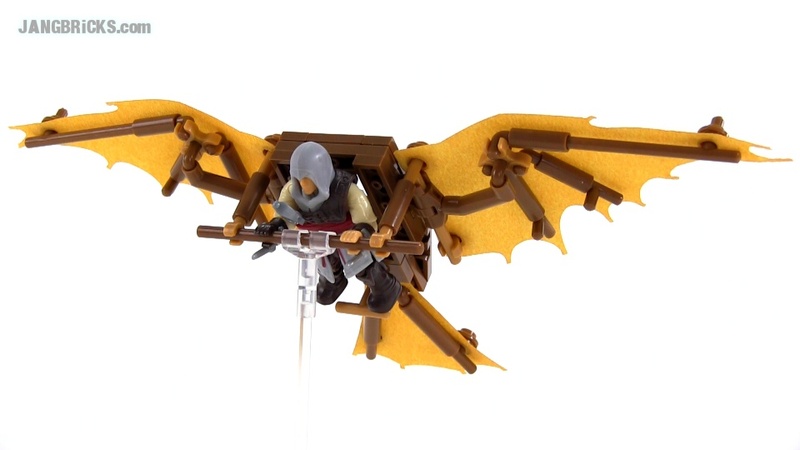 Build your own Da Vinci’s Flying Machine by Mega Bloks Assassin’s Creed and discover the speed and stealth of this incredible invention. Constructed with actual canvas tarp, the wings of this attack bird maneuver and soar past enemy lines. Customize your Ezio micro action figure with battle-ready gear including a hood and sword, then easily attach him to the Flying Machine to pilot the assault.